I designed the layout and chose the fabrics using her paint swatches for reference. 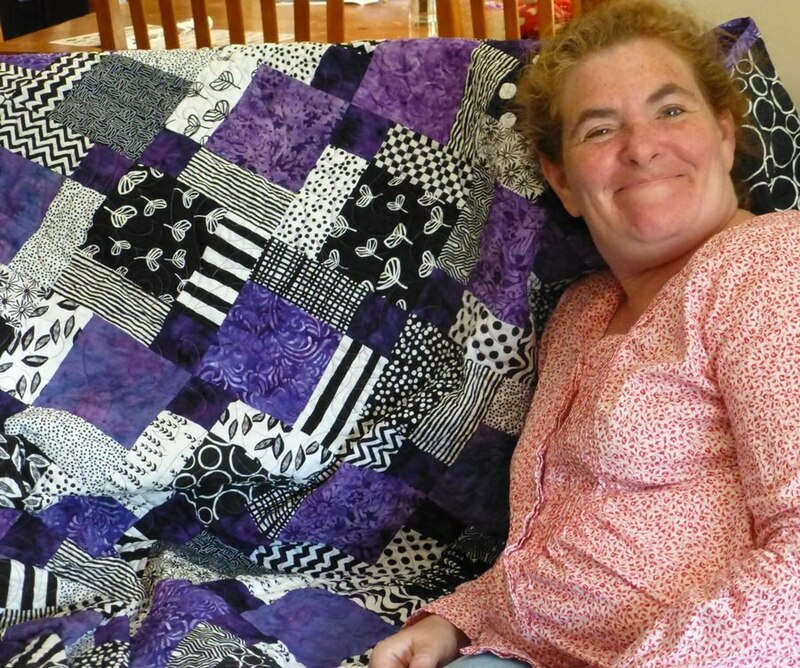 Nancy let me have free-reign with the quilting and I knew just what I wanted to do. 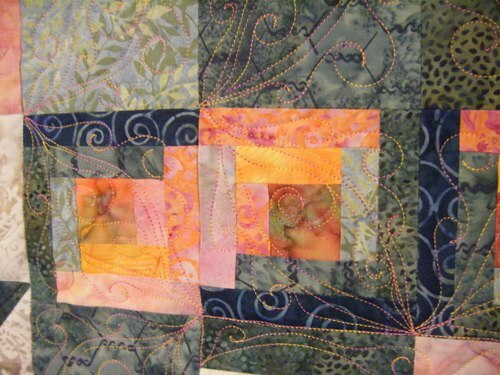 Loved the pink & peach variegated thread that went with it perfectly! 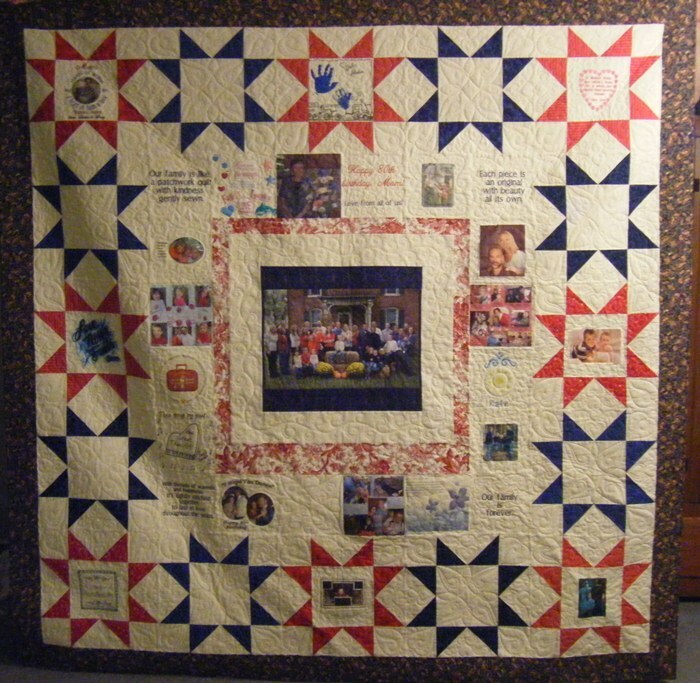 As an added bonus, our parents were here when I quilted it and they just were delighted to hang out and watch the process. 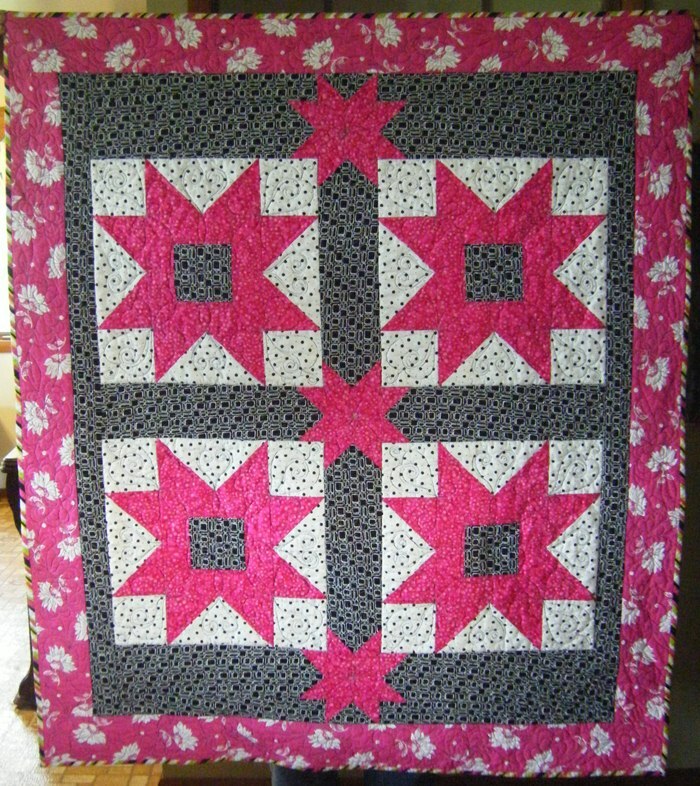 This is a gift I made for L & her baby A. Dear L is my nephew’s sister-in-law. The 2 sisters (my nephew’s wife & her sister) are a delight to me, so I told the SIL back in December that I was adopting her as my own. 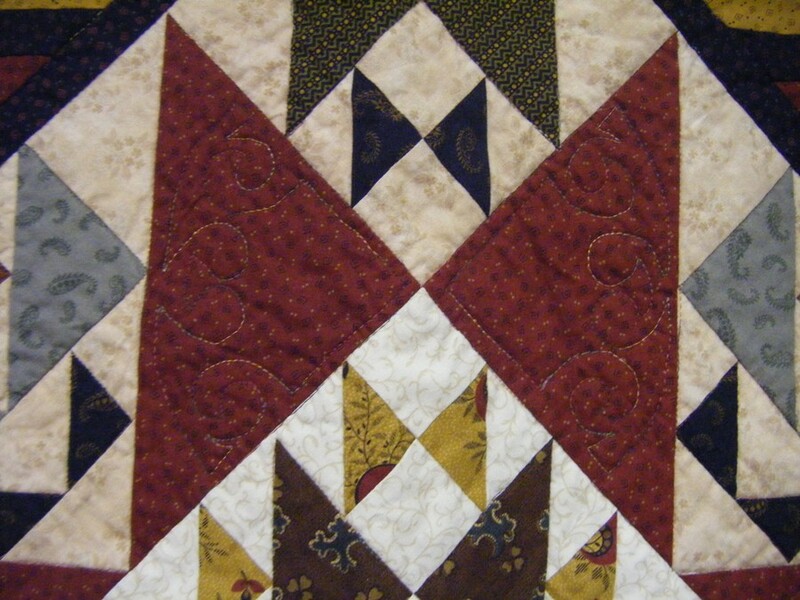 Henceforth, she had a new baby in February and since all the great-nieces & great-nephews get quilts from Great Aunt Joyce, I set out to make one for little A as well. 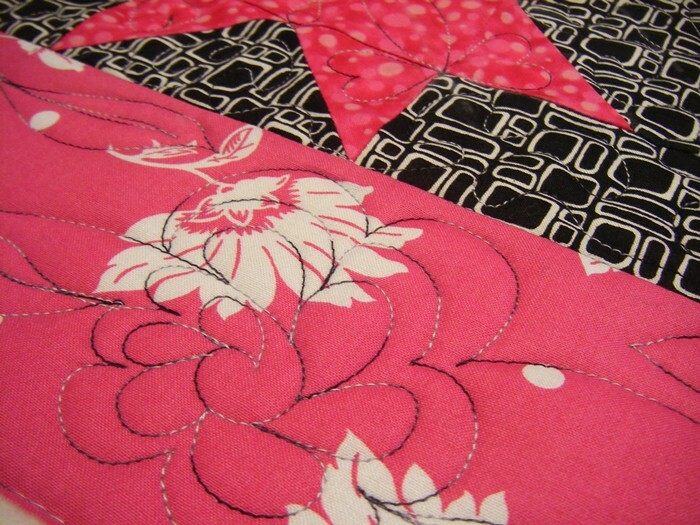 I knew they liked the bright pink & black combo so I was thrilled to find these fabrics to use. 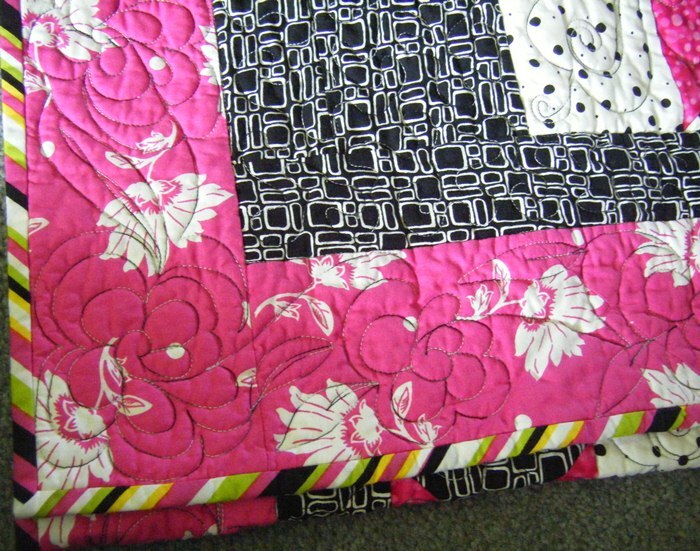 At one point I considered downsizing the quilt. However, when it came time to make it, I kept it big. 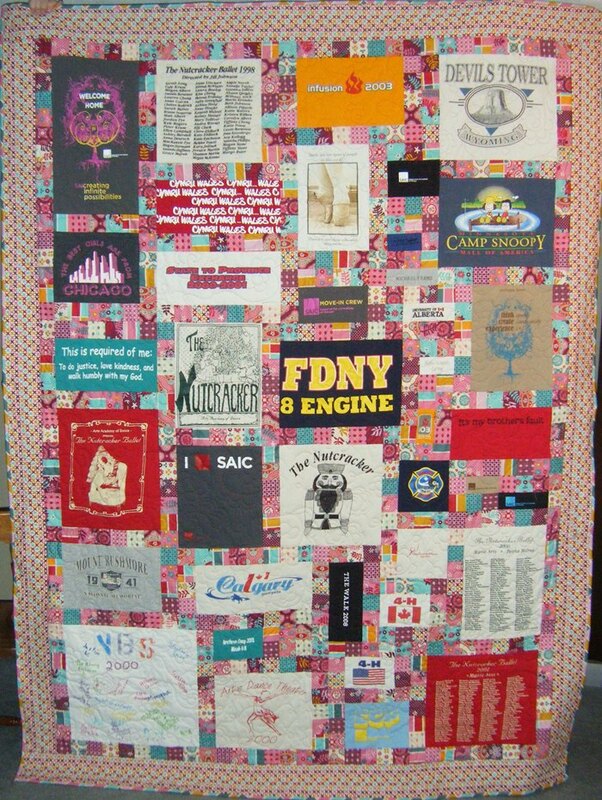 It is a huge baby quilt! More room for the new baby to grow. 🙂 The colors are most accurate in the first photo (here) and the last one. 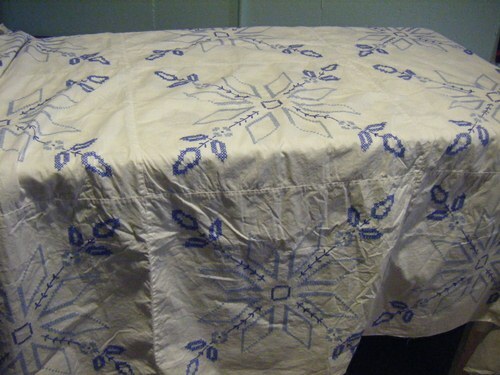 The quilt is 48″ x 56″. 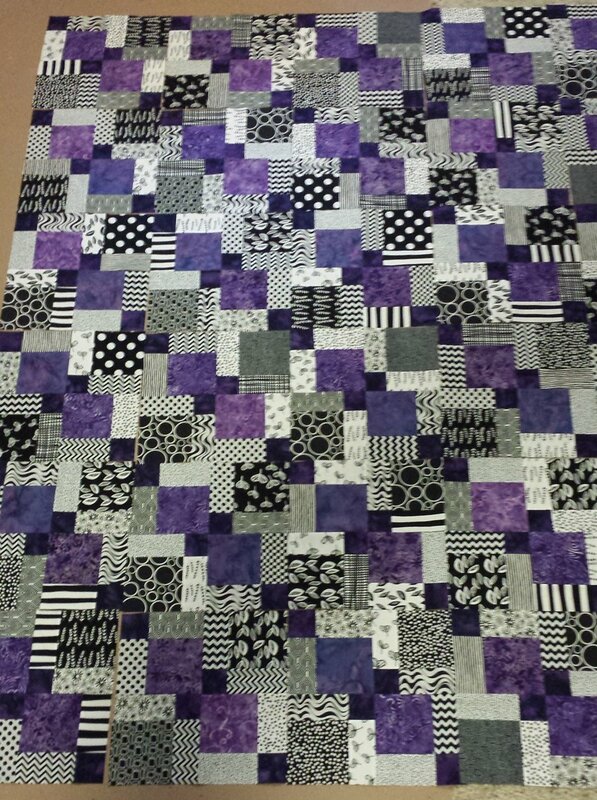 I loved the look of jumbo blocks (16″) and think I’ll use this pattern again. 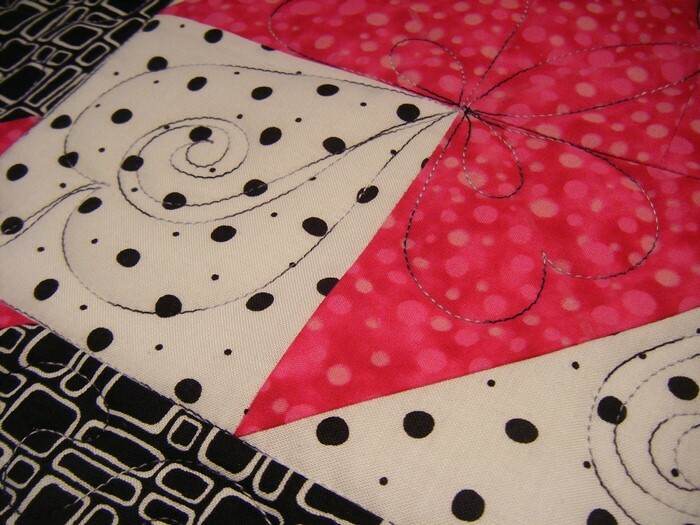 Custom quilting with variegated black & white thread. I love the look of it! 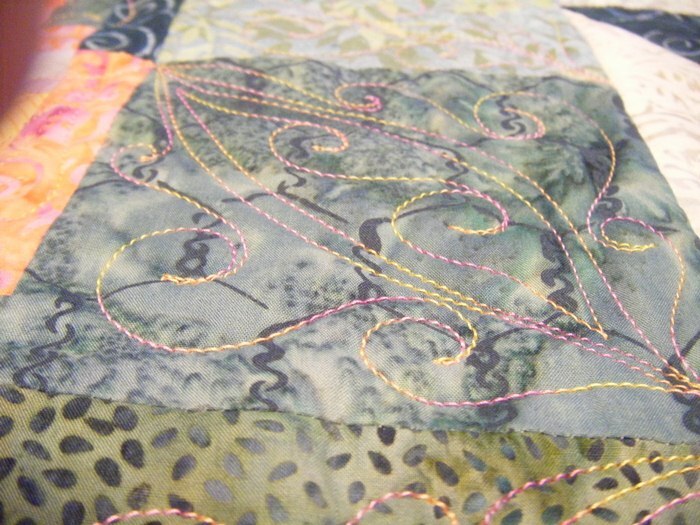 The border has freehand flowers dancing along the edges. And to end it all in style, striped binding cut on the bias. A favorite touch of mine. 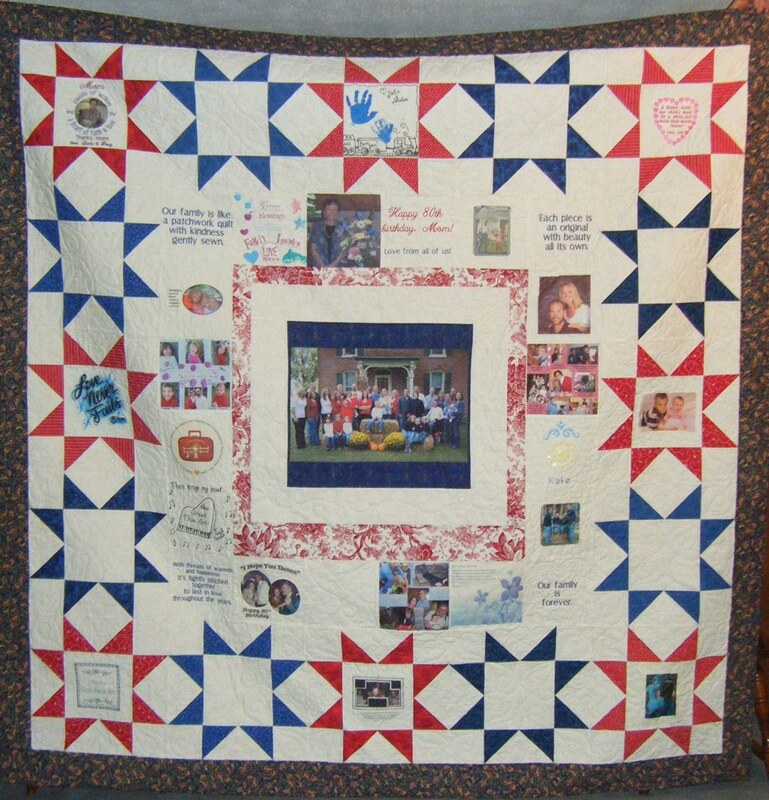 This family talked to me in December about making a memory quilt for the mother’s 80th birthday. 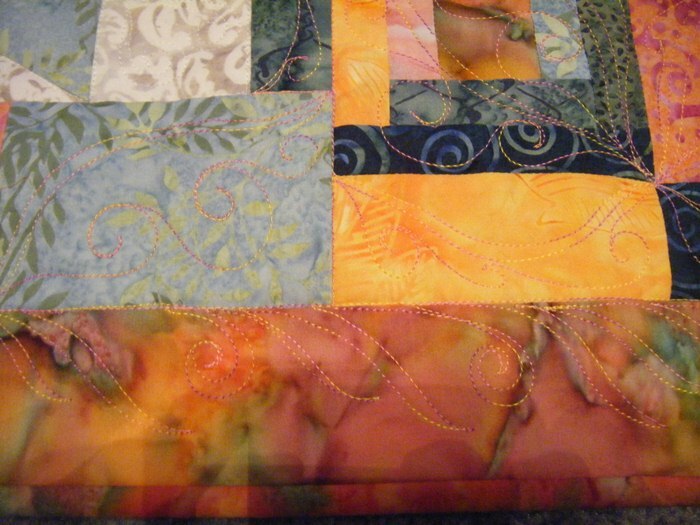 I thanked them for being another affirmation from God that my quilting business was the right step to take! 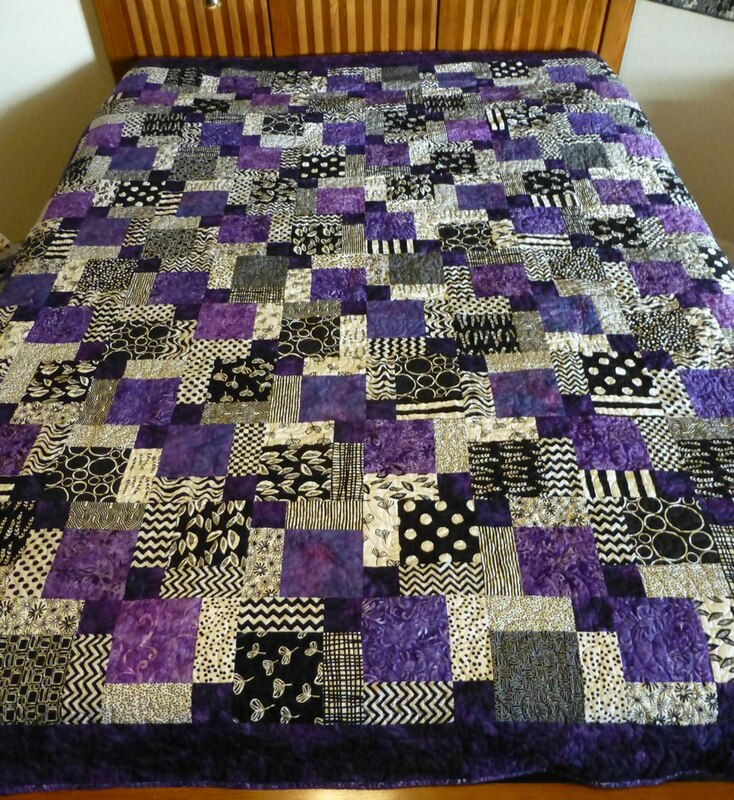 I’m pleased with the final quilt and so were my clients! 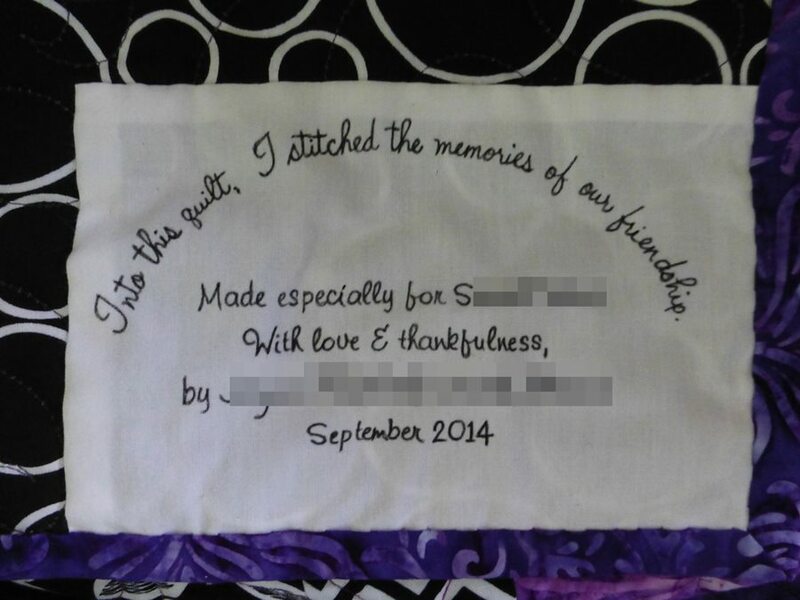 The sisters have both thanked me extra times and the mother who received this gift just called the other day with her thanks as well. 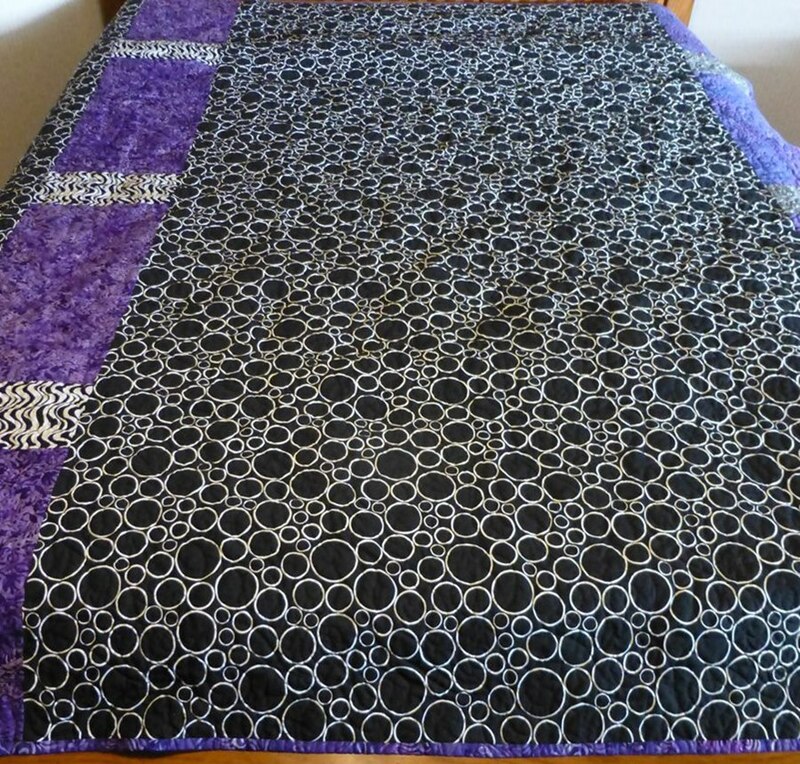 This large wall-hanging is 88″ x 88″ so I had a bit of a struggle getting a photo! (Plus this was during a busy time for my husband to help me.) This photo shows the scrappy red & blue stars. 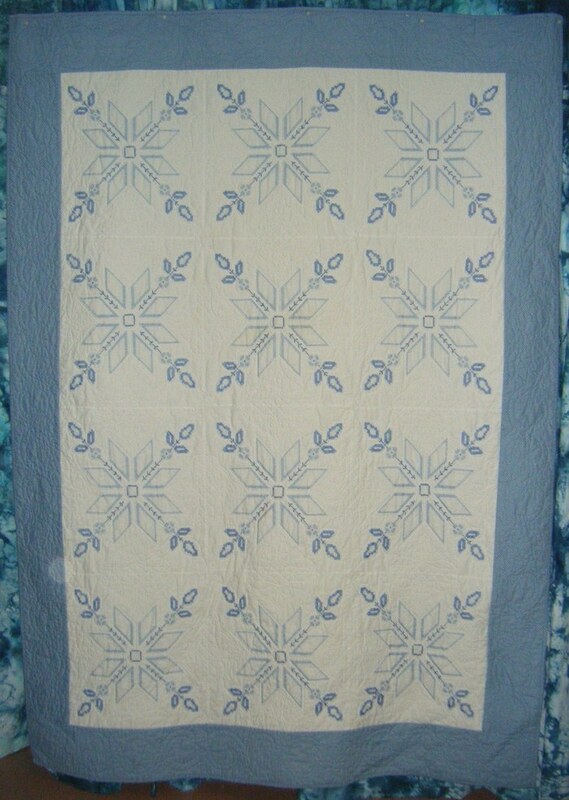 I took this photo without the flash to show the quilting designs better. 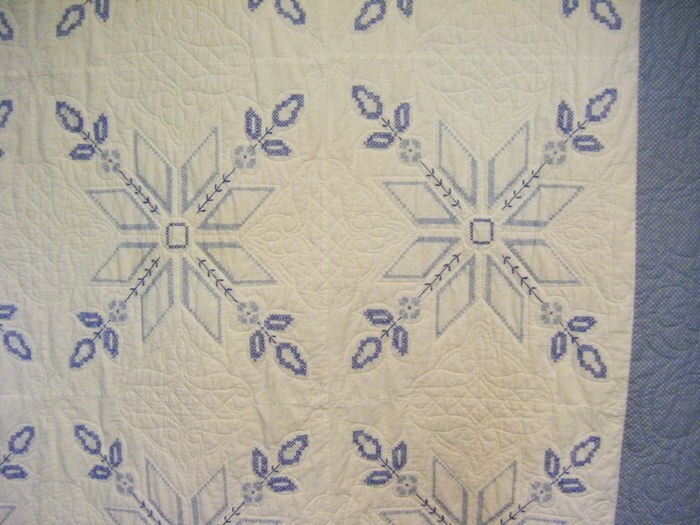 I did basic custom quilting on this with a special border design, repeated round the center photo. 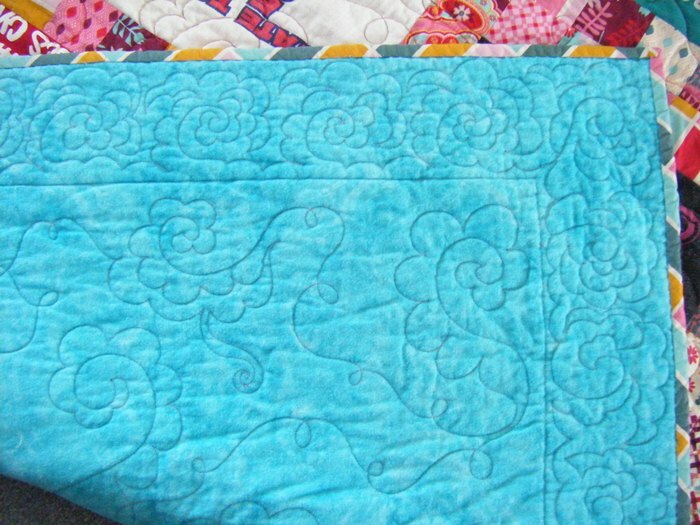 With custom freehand quilting, I was able to quilt each family block individually and customize it to their design. 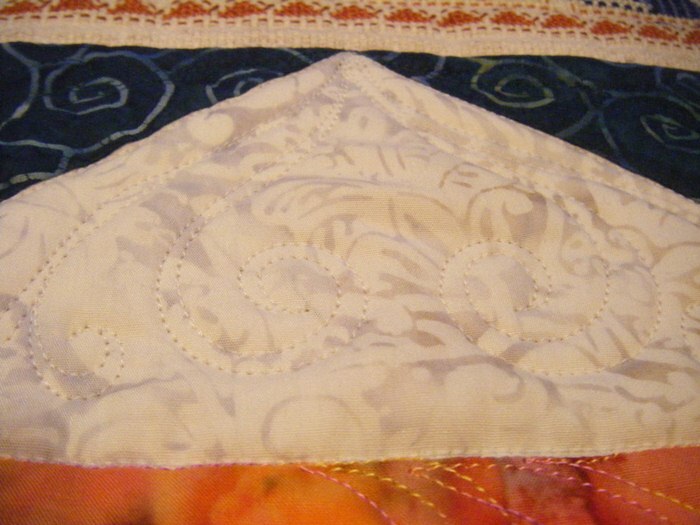 Most of the quilting is with So Fine thread and the borders and special designs were with King Tut variegated thread. 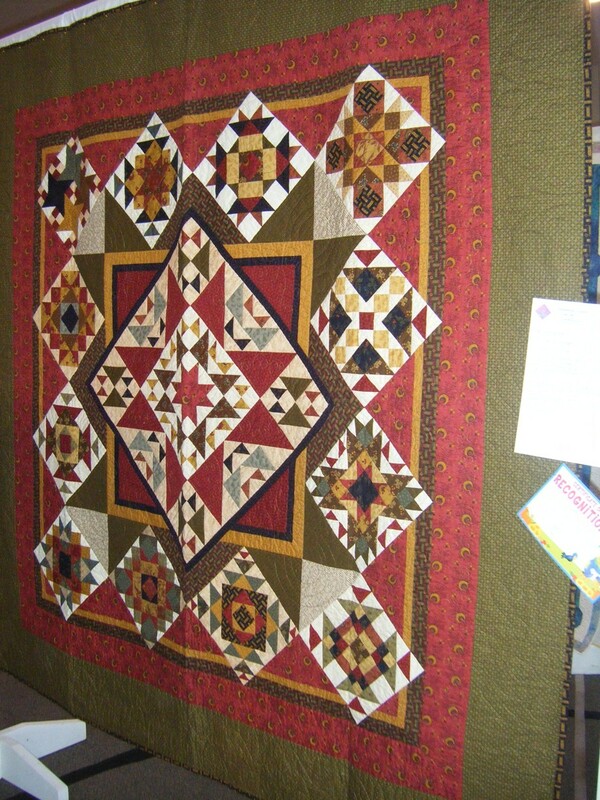 I used Superior’s MonoPoly thread on the the quilting for the photos. The center photo and one other one, I printed on photo fabric for them. 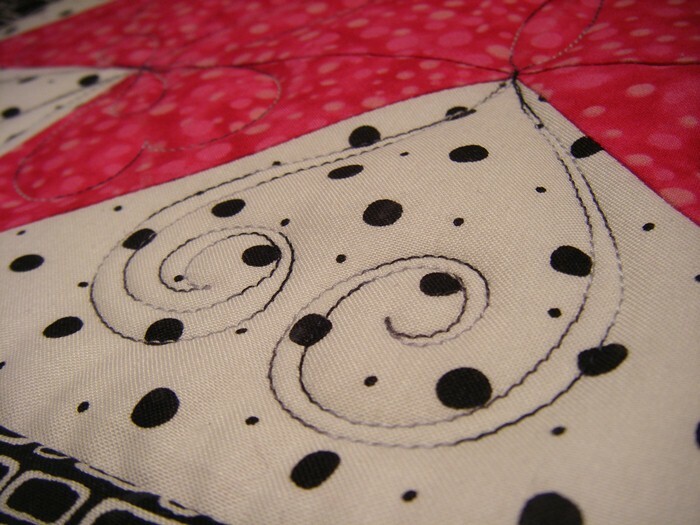 I’m thrilled with the quality of the photos on fabric. 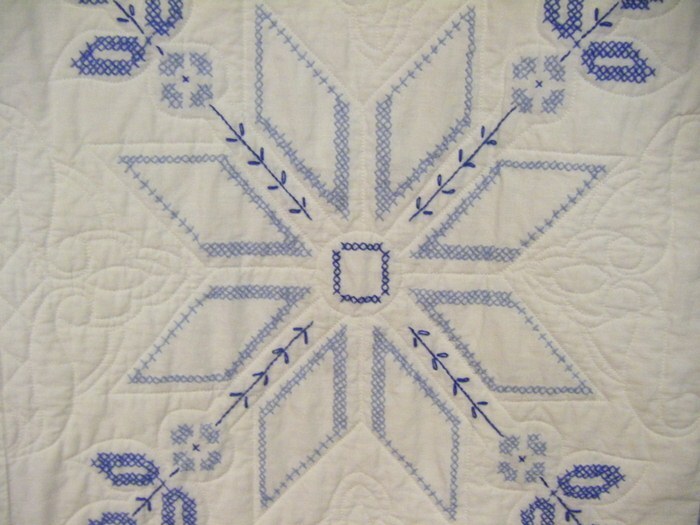 The family requested I add a saying which I embroidered for the corners of the middle border around the photo. 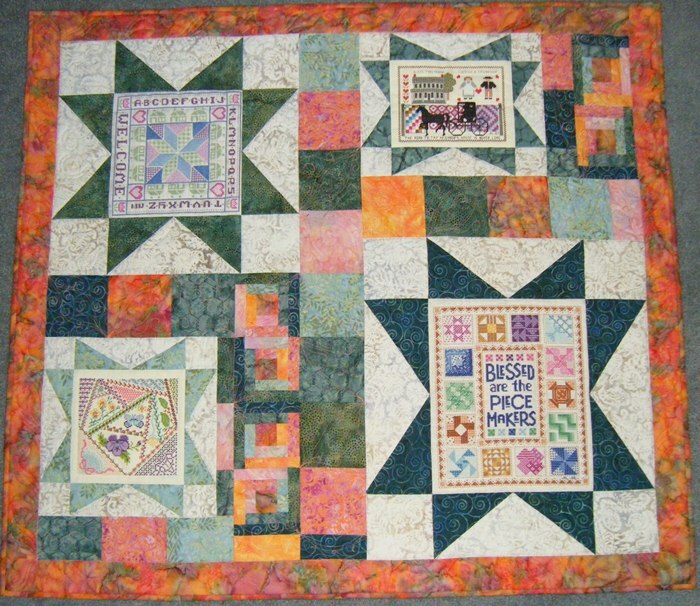 The star blocks not filled with a family block include coordinating quilting in the centers. 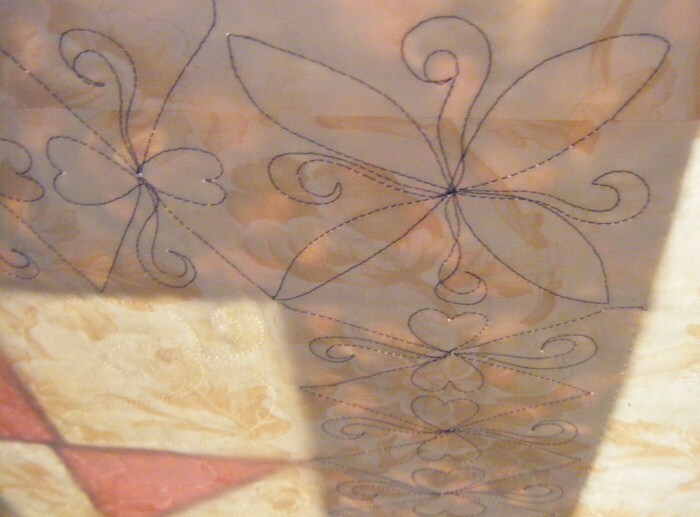 While the quilt was still on the frame, I took this photo from the underneath side. 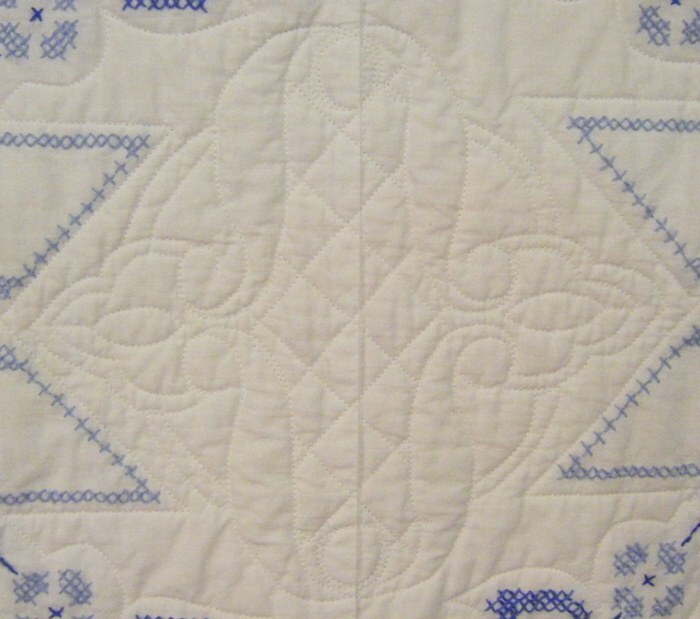 This shows the freehand design I used in the borders as well as around the center photo. I added a wide sleeve across the back for hanging and the owner is thrilled to have this in her living room now to enjoy all the time. A lovely birthday present!